Extra Collar For Cat & Small Dog Fence - Eyenimal by Ideal Pet Products - FREE SHIPPING! Need an extra collar for your Cat & Small Dog Fence? These waterproof, ultralight collars (only 0.8 oz./23g) are suitable for small yards (up to 520 yds./400 m of wire) in city neighborhoods. Meow Control - Eyenimal by Ideal Pet Products - FREE SHIPPING! Intelligent Pet Bowl - Eyenimal by Ideal Pet Products - FREE SHIPPING! Electronic Pet Feeder - Eyenimal by Ideal Pet Products - FREE SHIPPING! Designer Series Plastic Pet Door – FREE SHIPPING! 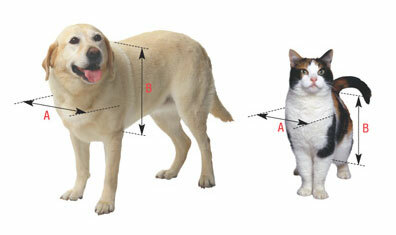 Extra Collar for Canicom Spray Remote Trainer - Eyenimal by Ideal Pet Products - FREE SHIPPING! Click the button below to add the Extra Collar For Cat & Small Dog Fence - Eyenimal by Ideal Pet Products - FREE SHIPPING! to your wish list.